Tatha Nature's Blessings Anti-Pigmentation Face Serum is here to make your skin clear and blemish free. 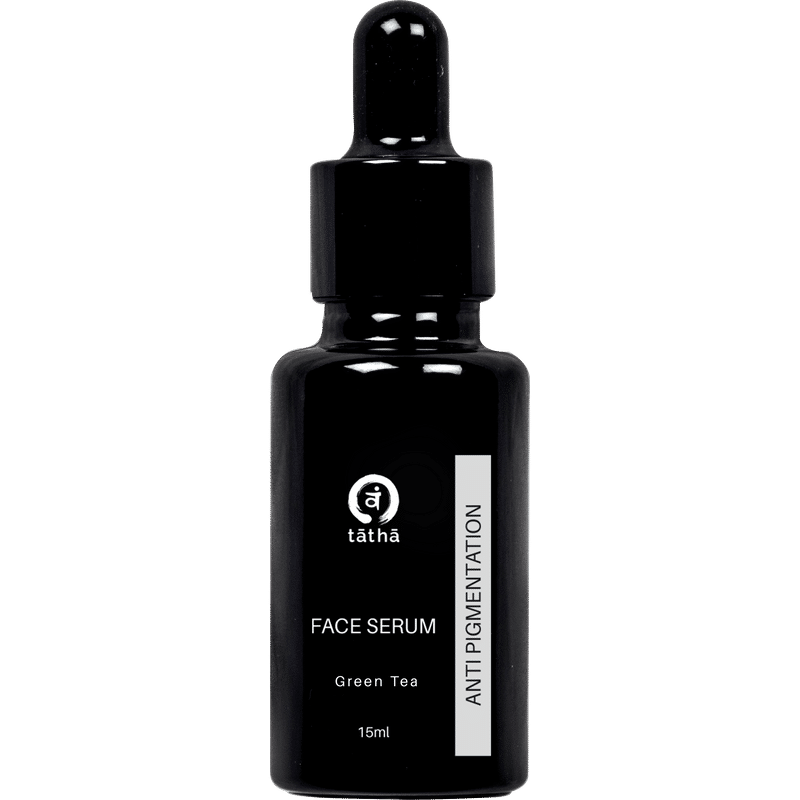 This serum is ideal to give you a smooth and younger looking complexion. Packed with skin lightening and brightening natural ingredients such as aloe vera extract, kumkumadi oil, almond oil, olive oil and vitamin E, this serum will instantly brighten up your face, lending a beautiful glow. Additionally, this serum also helps restore skin to its natural state. About the Brand: Tatha is about empowering everyone's unique, natural beauty and honoring Nature's Blessings. This is a luxurious and most trusted brand for natural wellness and aromatherapy based products in India. The brand introduces pure, natural, safe and effective products, thereby, enhancing and enriching the lives of all those we touch. All the products are handmade under strict quality supervision and are paraben, sulphate and chemical free and are not tested on animals.